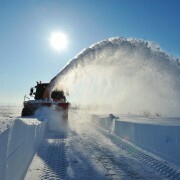 When it comes to winter, choosing a snow removal contractor you can count on is important. Unfortunately, some are better than others. The trick is to find a snow removal contractor you can trust. Here are seven tips to keep in mind that should help you decide. Some snow removal contractors are definitely more reliable than others. 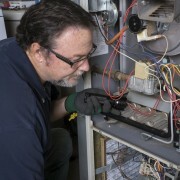 But for you, as a customer, reliability should mean much more than just showing up on time. It also means conducting your business in a professional manner. 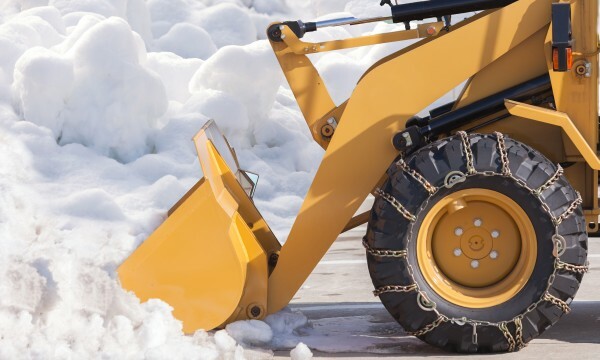 It’s important that a general snow removal contractor has in their general liability insurance a clause that specifically covers snow removal operations. All employees should be covered by such organizations as the Workplace Safety and Insurance Board (WSIB), which is specific for Ontario. Depending on where you live, there should be a similar organization in your province. What's more, the municipality where you live should license your prospective snow removal company, if it’s required by law. A call to your local City Hall can answer the question quickly. Vehicles must be registered. Ask for proof. What if you run a business and one of your clients slips and falls? And then later claims you’re at fault? 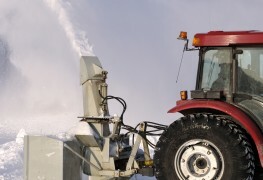 If your snow removal contractor keeps good records of the dates they provided service, what services were provided and by whom, you’re much less likely to be deemed legally at fault. Some contractors gamble on the fact that there may not be snow before the end of October. At times they've been proven completely wrong. A good contractor will have equipment ready and waiting for the entire winter season, able to cover late-fall blizzards as well as freak springtime snowstorms. Whether the contractor uses skid-steer loaders, snow blowers, plow trucks or all three, equipment should fit a variety of jobs – from clearing county roads to commercial parking lots to downhill driveway slopes. Equipment should be well-maintained in order to not only get the job done, but also to protect the safety of the operators. 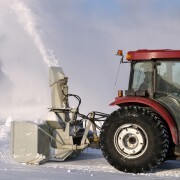 Also, the contractor should keep back-up equipment in case requests for snow removal exceed the number of skid-steers or other equipment they own. 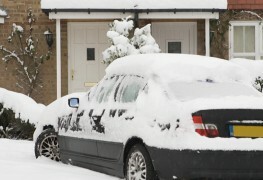 Some municipal bylaws prohibit the use of certain types of equipment, like plow trucks, to clear residential driveways. Check your municipality's website or give the city a quick call to confirm. 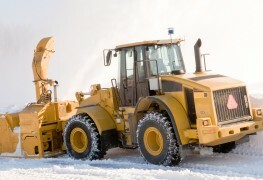 Then ensure the snow removal company you're considering has the right equipment for the job. Whether by email, social media or another method, a good contractor will keep you informed about their progress and schedule for the day. Many companies record this information on their outgoing voice mail at the office so that when you call it, you’ll hear these important details. As well, some companies record phone messages that automatically dial customers (robocalls) to let them know a snow removal technician is on the way to clear the snow. If you have a car in the driveway, it gives you a chance to move it onto the street so the snow removal company can do a more thorough job – especially after a big storm. This is a given. Always check references! If a company seems reluctant to give you names and numbers of previous customers, it's a red flag and suggests they have something to hide. Sometimes companies sub-contract work to smaller companies, which allows them to cover a larger territory. Be certain before signing a contract that the company who will do the work is the same one as the name on the contract. Occasionally, sub-contractors may not live up to the promises you received before signing on the dotted line. After all the work you've done to secure the most reliable, responsible snow removal contractor in your area, consider becoming a regular customer next season if you're pleased with their service. Repeat customers are frequently offered a discount the following year, which is a plus.